Well, this brings me to some issues I have with some 3D print designs. Of course, these are FREE and so I do not really have any justification for complaining - do I? The problem is people will put designs on public forums like thingiverse which are clearly not designed to be printed. Some are just designed in a way that could not be printed at all, and some are just sloppy. Sadly there are some really nice designs which you would struggle to print on most 3D printers, but can be printed by professional services, like this one. I'd love to print this, and it is a nice design (not sloppy, just the way it is). Basically, most 3D printers will print one layer on top of another. At a pinch you can create a "top" to something, spanning from one side to the other in mid air, but ideally you want designs that avoid printing in thin air, overhands, and anything shallower than 30 degrees (and even that is not ideal, better is 45 degrees). 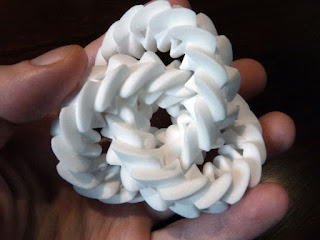 One of the challenges of 3D design is making something that can be printed on typical 3D printer. The box and lid in this case are both fine (mostly) for additive printing, if the box is flipped over. Fortunately I can separate the two parts and print separately. I tried printing the lid. 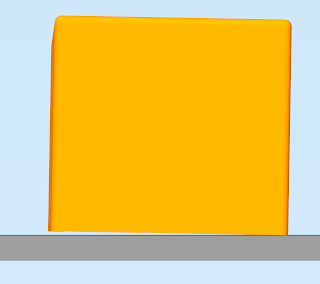 It took me three attempts to work out why it was not printing - it is about 0.42mm off the Z axis. WTF? Yes, this meant that the printer was trying to print the whole thing in thin air, just above the print bed, and hence it simply did not work. It is easy to fix, I can click one button and bring the lid down to the print bed, and if it had been way off in the air I would have spotted the issue and done so, but so close to the print bed, but not actually on it, is almost designed to be a nuisance. Why would anyone do that?!?! Yep, it is 1 degree off level. What kind of sick mind publishes a design that is 0.42mm off the bed and has one part upside down and 1 degree off level? I ask you! Yes, I can correct, but this is almost designed to confuse and annoy. Once again, I repeat, this is a FREE design, I have paid nothing for this. Can I really complain? 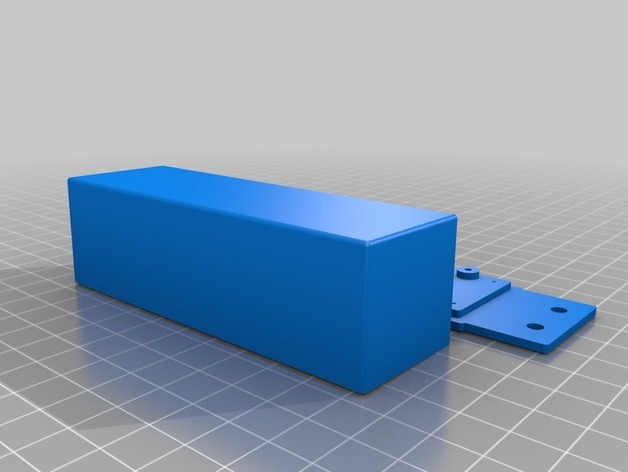 I am not picking on this one design, there are a mixture on thingiverse, and other forums, with a lot of designs "just working" and a few that are "sloppy". One of the other issues is something may be designed for one printer and material, and just work on that, but need some adjustment for other printers. That is not uncommon as the tolerances and capabilities of printers vary slightly. Obviously it helps when people specify the cases they have tested. I have to wonder, in the case of this box and lid, if this is deliberate trolling, or just sloppy, though it is hard to see how one can accidentally rotate something by 1 degree. This is the sort of situation where I tend to say "OK, I'll just measure it up in Blender and then make my own in OpenSCAD, it'll be less painful". 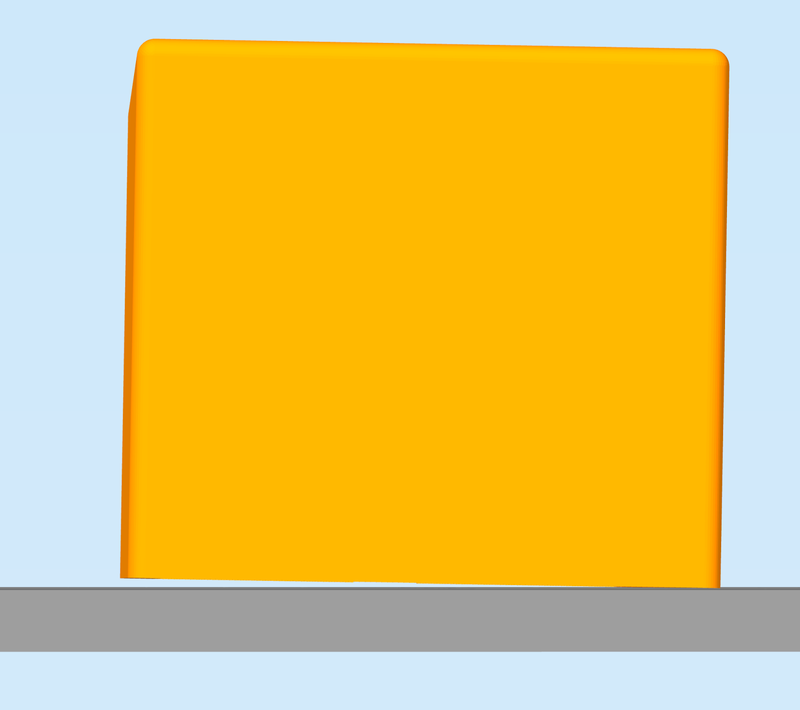 It's so much easier to get things right in OpenSCAD where you can see what's going on. One file per distinct part makes everything easier. Yes, and I have commented as the previous comments point our some of the issue last October, and clearly no revisions have been made to address them! I have never really understood the attraction or benefits of 3D printing. It sounds a lot of messing about. Surely it is less hassle to just buy the required product and have it sent on NBD delivery? Am I missing the point? Are the produced products very flimsy? I can see the benefit if you are the Operations Manager of some facility in the middle of nowhere (e.g. 1,000 miles from the nearest town), but when you have a usable comms link over which to receive the 3D print patterns to 3D-print something to repair whatever problem/disaster has befallen your building/operation. Other than that I am struggling to see the advantages. Correct me! I am sure others will comment too. Apart from being fun, they allow you to make thinks you cannot readily be obtained. We have printed loads of useful things. One of the first was a small plastic clip that was part of the paper feed mechanism for a paper printer. Took a few minutes to design and print and not available as a spare part as far as I know. The printer was several hundred ponds to replace. Things it's too expensive to buy (a cooker knob, for a mere £20 plus £20 postage, was a precipitating factor for me). Things that not enough people want to make it worth getting an injection-mould run done (which needs thousands to be cheaper than 3d print). Things for which you want to refine the design, making two or three test pieces until you've got it just right. Material strength is somewhat flexible; you can use more material for something heavier and stronger. Many printers can use the same ABS you'd get with an injection moulded product.